Currently, I am living in Greenpoint, Brooklyn. Which, fun fact, has the second largest Polish population in the country (second only to Chicago). Sometimes, ok a lot of the time, it is like living in a foreign country. 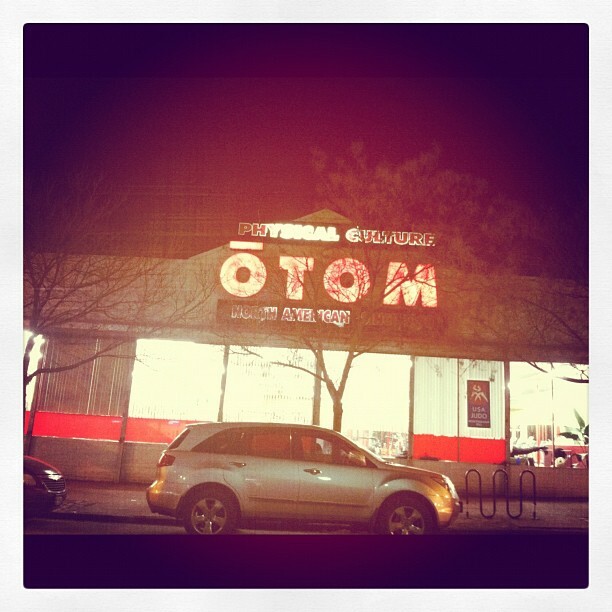 For example, I passed the “Physical Culture OTOM” pictured above yesterday. It’s a gym. Also, I live down the street from the Samoobslugowa. It’s a laundromat. I’ve walked into bodegas (I need to learn the Polish word for that), and the store clerks will speak to me in Polish before trying English. So far it has been a great experience, I get to experience a new culture and feel as if I am living abroad, but am still just a few subway stops into Manhattan. None of the buildings are over 6 stories high, people still gather on their stoops and know all their neighbors. One of the greatest things about living here is just out my kitchen window, a beautiful view of the Empire State and Chrysler buildings. Sometimes I almost forget, and I am chopping up onions, waiting for the water to boil, and I will look over my shoulder. There they are, glowing across the East River. Reminding me why I came here and why I should stay.